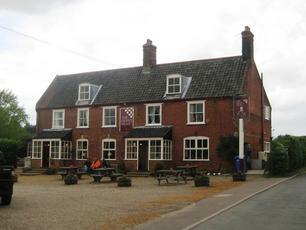 Unfortunately since my previous comment the pub has changed hands. Friends report poor food and bad service, although I can't comment on that as we didn't eat this time.. I can report that they've stopped stocking Green Jack and when we visited had the ubiquitous East Anglian 3 - Greene King IPA, Adnams Bitter and Woodforde's Wherry. We tried the Wherry which was not exactly off but dull as ditchwater. Why stock 3 bitters of the same sort of style and ABV (and then not bother to keep them properly)? I won't bother to make the trip out there again for a while. I feel sorry for the locals. My favourite on Saturdays bike crawl, tucked away down tiny single track lanes about 15 minutes walk from the station. Its a gastro pub really but drinkers were more than welcome, the meals looked and smelt very nice and the lady proprietor fussed over her team of attractive young lady waiting staff in tight black dresses like a mother hen. Service was naturally efficient and very attractive! My first pint was slightly cloudy but drinkable, but the landlady kindly gave me a 2nd pint of a different beer for free. Lovely garden outside for sunshine drinking. Full marks. Found this pub walking the Angles Way - just before kipping down on the marshes. Great food and ales - made the long walk worth it and made sleep a little easier - thanks. 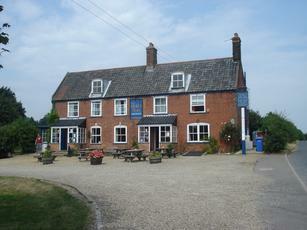 A very attractive country pub with an emphasis on food - a great place to visit in the summer for its large garden. A good range of ales including local Green Jack beers. Food is good but a bit pricey for what you get. If you're going by train, take the path on the left as you come out of the station for a short cut - don't follow the main road (and take a torch for the walk back!). Rural pub which is about a 10-15 minute walk from the station through the woods. Good quality ale on offer and first rate food (not cheap but still good value for money). Service was superb on our visit, even arranging a birthday cake for one of our party.